South Korean auto giant Hyundai Group on Tuesday announced a big bang $300 million investment in India’s ride sharing start-up Ola. In what is Hyundai and its subsidiary company Kia’s biggest combined investment till date, the strategic partnership will see the three firms extensively collaborate on developing fleet and mobility solutions, building India-specific electric vehicles and infrastructure, as well as nurturing best in class opportunities and offerings for aspiring driver partners with customised vehicles, on the Ola platform. Hyundai is India’s second largest passenger car manufacturer and its largest car exporter for well over a decade; while Kia Motors is due to make its entry into the domestic market with its first car later this year. “India is the centerpiece of Hyundai Motor Group’s strategy to gain leadership in the global mobility market and our partnership with Ola will certainly accelerate our efforts to transform into a Smart Mobility Solutions Provider”, said Euisun Chung, Executive Vice Chairman of Hyundai Motor Group. “Hyundai will proactively respond to market changes and persistently innovate to deliver greater value to our customers”. “We’re very excited about our partnership with Hyundai, as Ola progresses to build innovative and cutting-edge mobility solutions for a billion people. Together, we will bring to market a new generation of mobility solutions, as we constantly expand our range of offerings for our consumers,” said Bhavish Aggarwal, co founder and CEO, Ola. “This partnership will also significantly benefit driver-partners on our platform, as we collaborate with Hyundai to build vehicles and solutions that enable sustainable earnings for millions of them, in the time to come”. 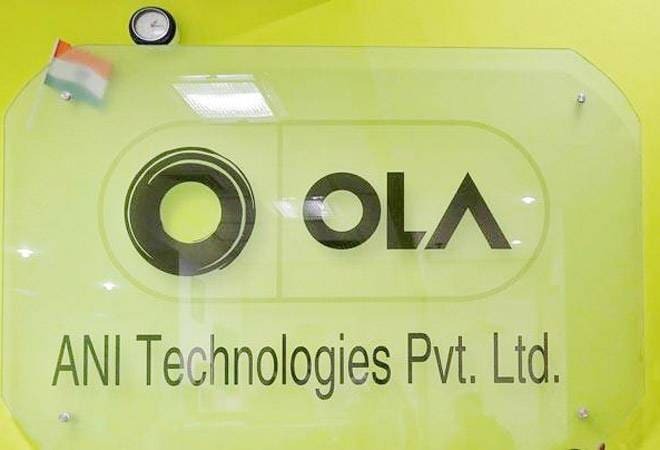 Ola, founded in 2011, has quickly grown in India to become the main challenger to world’s largest ride hailing start-up Uber that entered the Indian market much later. It has also attracted much attention from auto companies from the start. In 2015, it hit headlines when Tata Group patriarch Ratan Tata gave his voice of confidence to the start-up by investing an undisclosed amount in the company. Tata would go on to invest another Rs 268 crore through RNT Capital Advisers in 2017. The company has also in the past collaborated with homegrown SUV maker Mahindra and Mahindra for inducting its small electric car e2o into its fleet. That venture, however, has not been as successful as envisaged. The two companies had also announced a tie-up in 2016, where Mahindra offered its vehicles at special prices, attractive finance options and zero down payment, subsidised insurance premiums and comprehensive maintenance packages to Ola drivers. It was not clear how that collaboration would co-exist with Hyundai Group’s larger play at Ola. As part of the strategic collaboration between Hyundai and Ola, the companies have agreed to co-create solutions to operate and manage fleet vehicles, marking the group’s first foray into the industry, as they expand operations from automobile manufacturing and sales to total fleet solutions. Hyundai Motor Group expects to accelerate its transition from a ‘car manufacturer’ into a ‘Smart Mobility Solutions Provider’, as the partnership’s initiatives will allow it to engage in all aspects across the entire mobility value chain including vehicle production, fleet operation and mobility services. Ola aims to create over two million livelihood opportunities in the mobility ecosystem by 2022. This partnership will help accelerate micro-entrepreneurship in India‘s growing pool of aspiring driver-partners. Ola already hosts over 1.3 million partners on its platform and will further empower hundreds of thousands more, with access to tailored offerings across vehicles, financing, insurance and more, substantially bringing down the total cost of ownership for partners.